Boiler on the blink, or have you simply run out of gas? Let these companies help you get your central heating back in business. Need your patio scrubbed, or want to organise a professional cleaning service to look after your apartment? 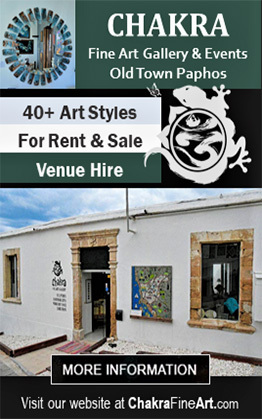 If you are in the Paphos area, our directory can help. Looking for a new aircon unit or fan? Do you have one that needs maintenance? Cyprus can get surprisingly cold in the winter, so let these companies help you keep warm. Need somebody to look after your garden? Do you want new fencing, or something that requires green fingers? Take a look here. DIY can be fun but there are times when you need the professionals. If the job is too big, or you are too busy, then these Paphos companies will be able to help you improve your home and garden. When it comes to electricity you don't want to take any risks. Let these Paphos companies assist you. They may cover different areas, so give them a call and ask. Got a problem with your plumbing, or do you need a new shower fitting? Perhaps your septic tank needs emptying. These businesses can help. Are you thinking of taking the plunge and emigrating to Cyprus? Or do you want to move within Paphos, or relocate back to the UK?